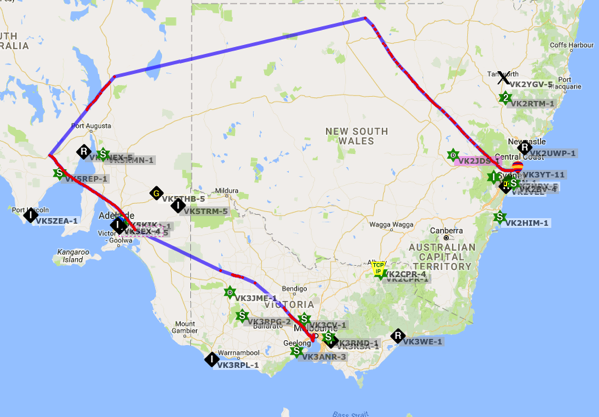 PS-70 is still doing the loop round the Eastern part of Australia. Prediction shows another two days inland. 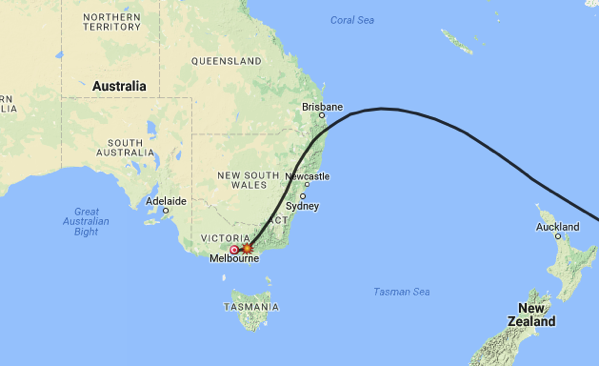 This entry was posted in Flights and tagged hf jt9 wspr on January 22, 2017 by andy. 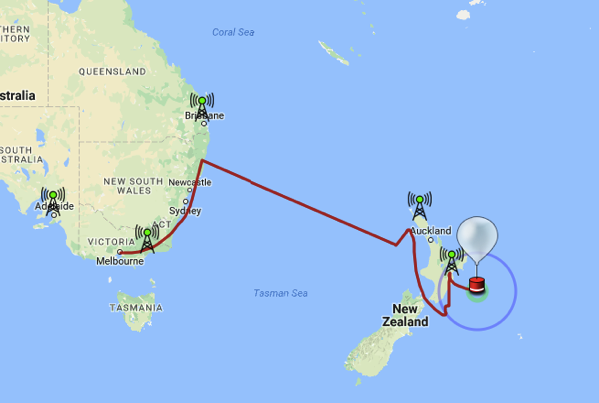 Party balloon powered by a lithium AAA battery, 10mW TX. 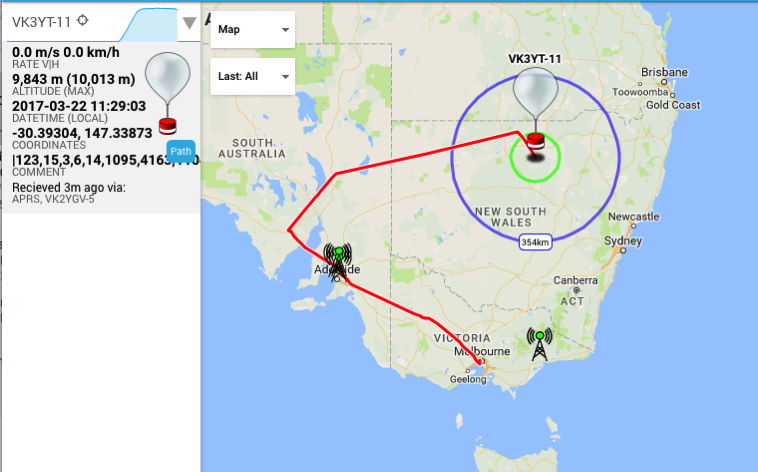 This entry was posted in Flights and tagged aprs pico AAA lithium on December 25, 2016 by andy. 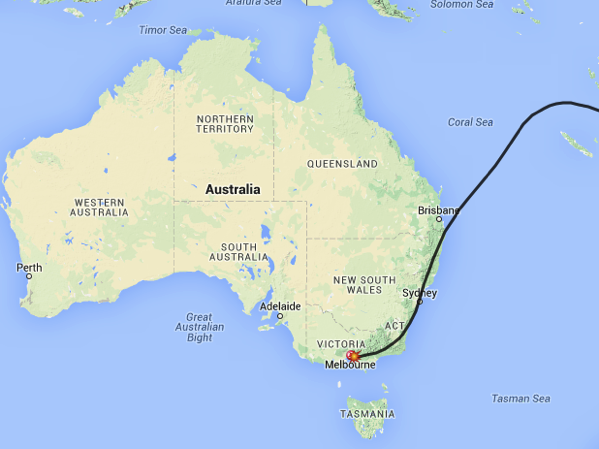 PS-68 had a 24H run along the East coast, and took off to the east towards New Zealand near Brisbane this morning. 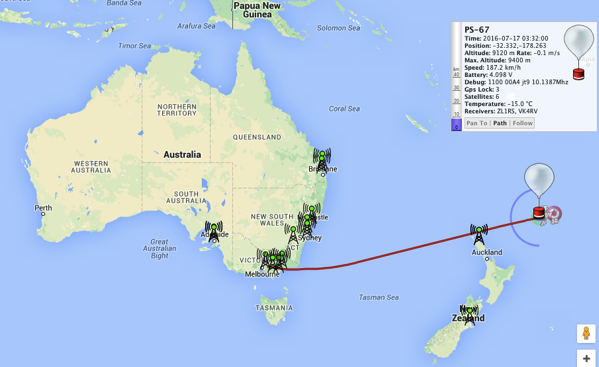 PS-68 was in range of ZL1RS at 20:36 AEST last night, at the same time arriving at a weather front. 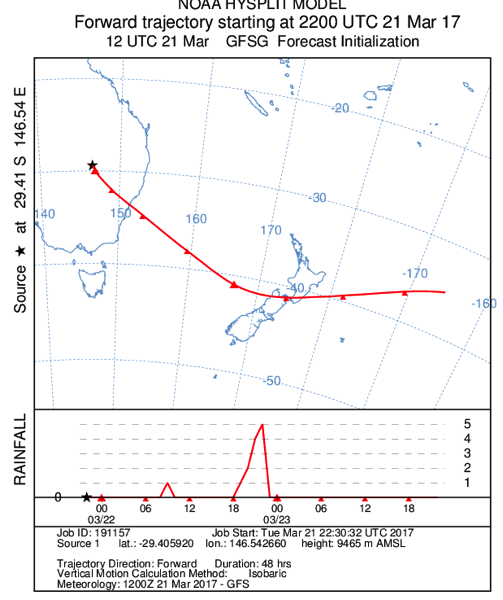 The weather caused the balloon to descend and change direction, and stayed out of LOS range of ZL stations until 7:21am this morning (AEST), when it started its tour of New Zealand. 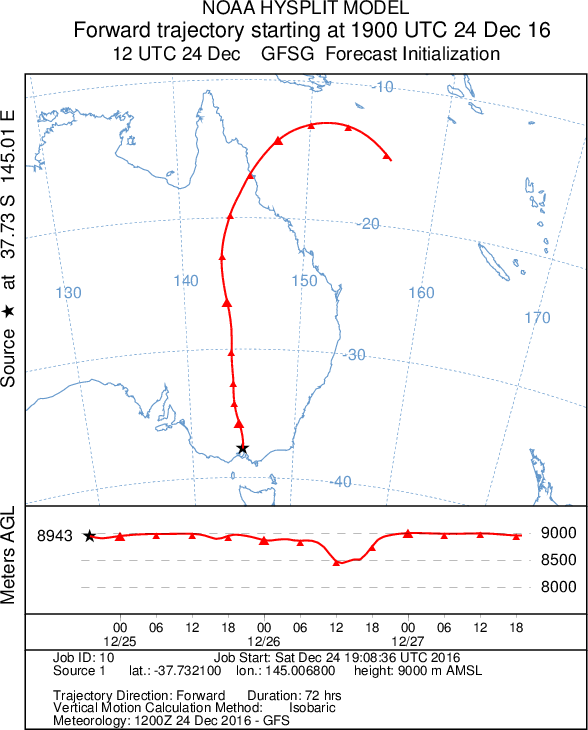 After arriving at the East coast side, and just before it was time to leave , the balloon descended again, changing direction towards land. 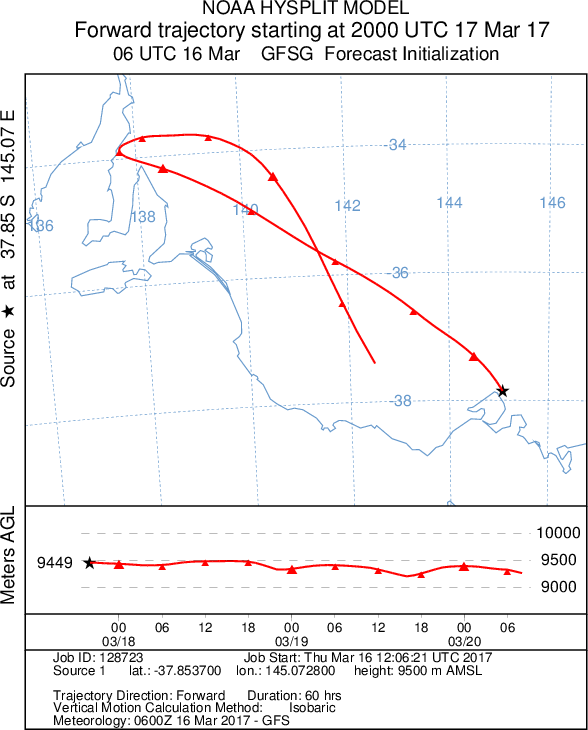 PS-68 spent another day over North Island before heading into the Pacific at 15:34pm AEST today. 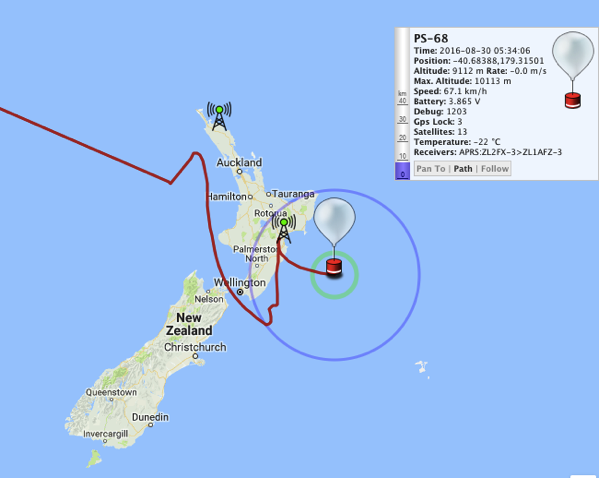 This entry was posted in Flights and tagged aprs olivia pico on August 26, 2016 by andy. 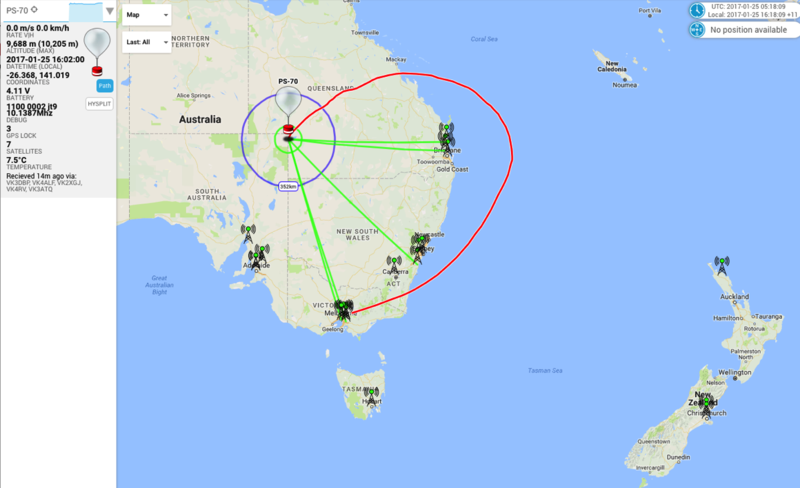 This entry was posted in Flights and tagged ps-67 jt9 hf wspr fedor on July 17, 2016 by andy. 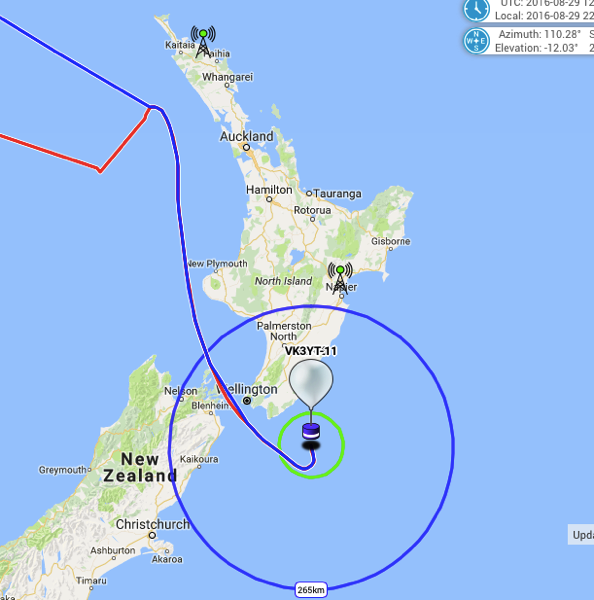 PS-64 and PS-65 were HF PICO balloons released to celebrate the WIA AGM with a special greeting message transmitted on JT9. 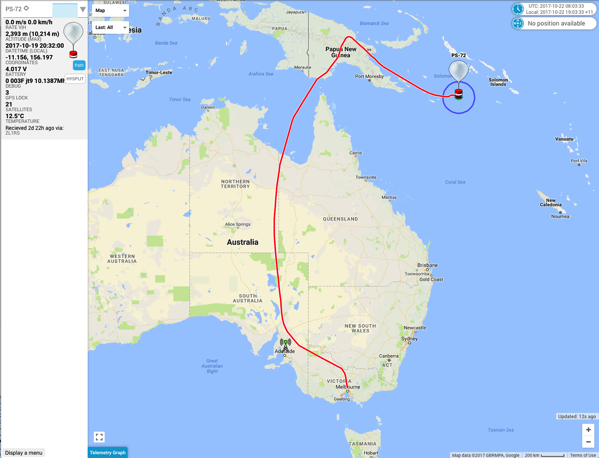 This entry was posted in Flights and tagged wia agm hf pico on July 17, 2016 by andy. PS-63 was released on Sunday 7 April 2016. It descended in bad weather in the middle of the Atlantic Ocean after 5 days 9h. 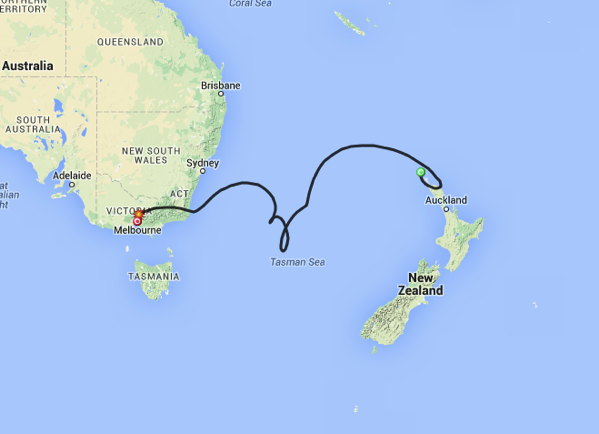 Thanks everyone for assistance with tracking. 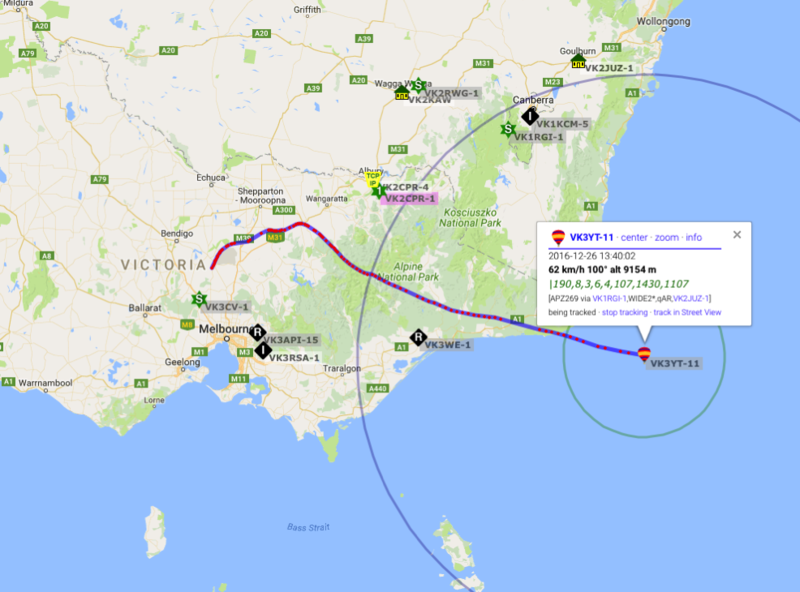 This entry was posted in Flights and tagged ps-63 jt9 wspr hf on April 10, 2016 by andy. PS-62 is planned to be launched this Sun 20th March 2016 AEST, around 7am. 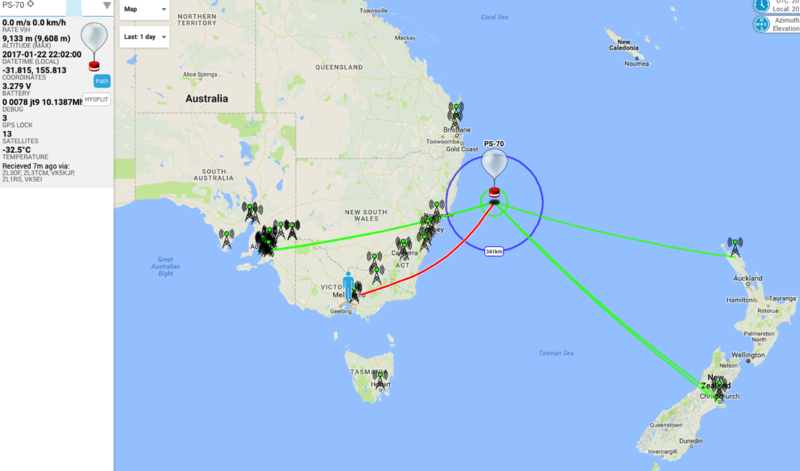 This entry was posted in Flights and tagged ps-63 jt9 wspr hf on March 17, 2016 by andy. PS-61 is planned for release at 7am Sun 21 Feb 2016 AEST. 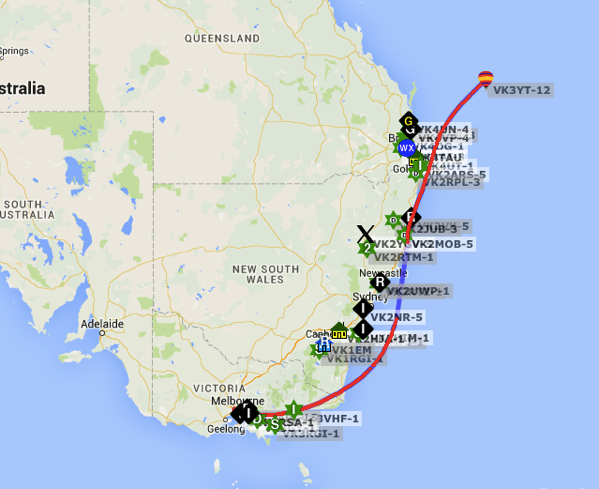 Last packet was received at 08:24 22 Feb 2016 UTC before PS-61 headed out to sea. 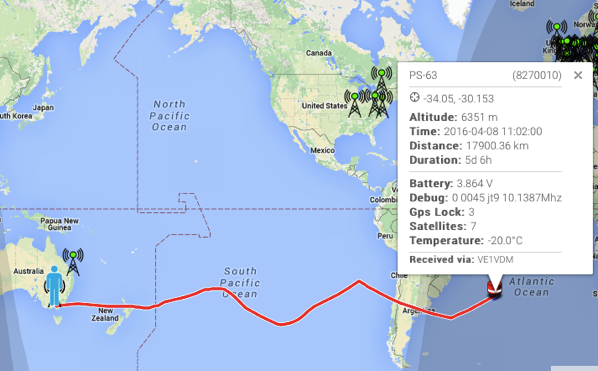 This entry was posted in Flights and tagged aprs olivia pico on February 20, 2016 by andy.